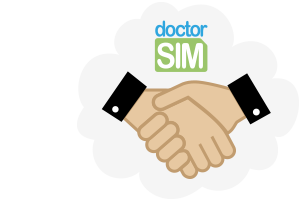 You can now become a partner and affiliate of doctorSIM by selling our services on your website. Open to anyone, our affiliate programme is a quick and easy way to make money without needing any technical knowledge. We will help you all the way! 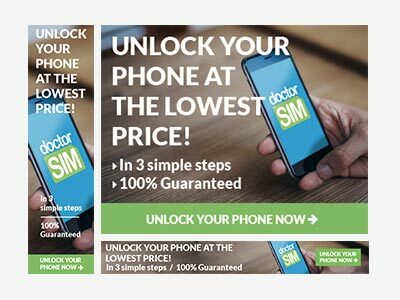 doctorSIM adapts to your needs, converting your website into a source of income. It really is as simple as that. Whether you have a website, blog or community page or whatever your personal or professional activity, we have the ideal solution for you. Take the leap with us and seize the opportunity! This is a great option if you have extra advertising space and want to use our banners to generate extra income. For: Websites, blogs and forums (all types). Requirements: Number of website visits is not important. You must have the option to add banners and promotional links. How: For information on how to get started right away click on the button below. IFRAME AND WIDGETS: Offer doctorSIM's services on your website. With IFrames and widgets you can offer our great deals on your own website, providing an additional service for your customers. For: Mobile Virtual Network Operators (MVNOs), blogs, e-commerce sites and mobile phone forums. Payments: Monthly and commissions on completed sales. Requirements: Over 10,000 website visits per month. How: Iframes, widgets, banners and links. 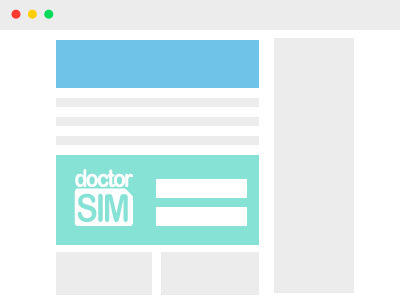 WHITE LABEL: Offering doctorSIM services as if they were yours. 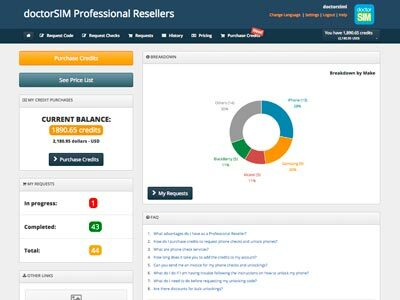 Ideal for providing a full service direct from your website, shop or business with the support and technology-savvy professionals at doctorSIM. For: Mobile Virtual Network Operators (MVNOs), blogs, e-commerce sites, mobile phone forums and chain stores. How: Via API, real-time statistics, payment gateways and cross-selling with your products and services. STORES AND DISTRIBUTORS: Online platform for mobile phone stores. Select this option if you have a store, or chain, and want to provide your customers with a professional unlocking service. Add further value to your business with our support and full guarantee. For: Independent stores, chains and points of sale distributors. Payments: Credit packages available upon request. Requirements: Shop, chain or distributor. How: Via web platform tailored to your needs. Assisted all of the way by the doctorSIM Team! 10 out 10 for superb service! Felt safe at all times ordering online. 30 minutes and my BB was free! Awesome to be carrier-free. Process was simple and well documented. Recommend! Your request has been sent successfully, soon one of our agents will respond to your request to clarify all your doubts. There was a problem sending your request, please try again.